The Ranthambhore National Park one of India's finest wildlife destinations, is located in Sawai Madhopur, in Rajasthan province in northwest India. 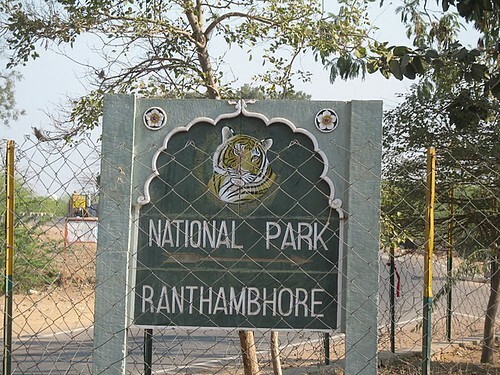 The Ranthambhore is approx. 180 kilometers from Jaipur, the capital of Rajasthan.Ranthambore national park is well connected with all the major cities and station in india. By Air: A nine-seater aircraft of Supreme Airlines is depart from Delhi at 1 pm and land at Chakkainpura airstrip of Sawai Madhopur at 2.30 PM. Similarly, this aircraft is depart from Sawai Madhopur at 3.00 pm and reach Delhi Airport at 4.30 pm. This air service of Supreme Airlines’s nine-seater aircraft is be available for 6 days in week from Monday to Saturday. This facility is not available on Sunday. The closest airport is Sanganer airport in Jaipur, which is 176 kms and three and half hours drive from the Ranthambhore. Jaipur is well connected to New Delhi and Mumbai with daily flights operated by Jet Airways, Sahara Airlines and Indian Airlines. The flying time from Jaipur to Delhi is thirty minutes and from Mumbai to Jaipur is one hour and thirty minutes. By Road: The drive from Jaipur to Ranthmbhore takes three and a half hours. The drive from Agra to Ranthambhore takes six hours. The drive from New Delhi to Ranthambhore via Jaipur, takes approximately eight hours. Around 440 km by road from Delhi Around 180 km by road from Jaipur , Around 280 km by road from Agra. It also has a good road connection to Jhansi and Orcha (7 hours drive). By Train: Sawai Madhopur (10 km) is on the main rail line between Delhi and Mumbai and is also well connected to Jaipur. There are regular super fast trains like Jan Shatabdi, Rajdhani between these destinations. The travel time from Sawai Madhopur to Jaipur is approximately two hours and thirty minutes, to Delhi is 6 hours and to Mumbai is around fifteen hours.